When I heard Beauty Inside (movie) would be getting a drama version I wondered how many actresses they would cast for the female lead role only since the movie one got 21 actors (according to asianwiki) to play as the male lead. Changes are fun when what’s being changed become better, of course. There was no way Drama could follow Movie’s plot 100% and changes were absolutely needed to make a 2-hour material become a 16-hour material. Drama changed many major characteristics of the movie. Several of them were the occupation of both leads, who changed the face, and when it occurred. Drama did great at changing several points to make it different than the movie. I highly enjoyed it. I adored Seo Hyun Jin as Han Se Gye so much! She was natural and great at acting. 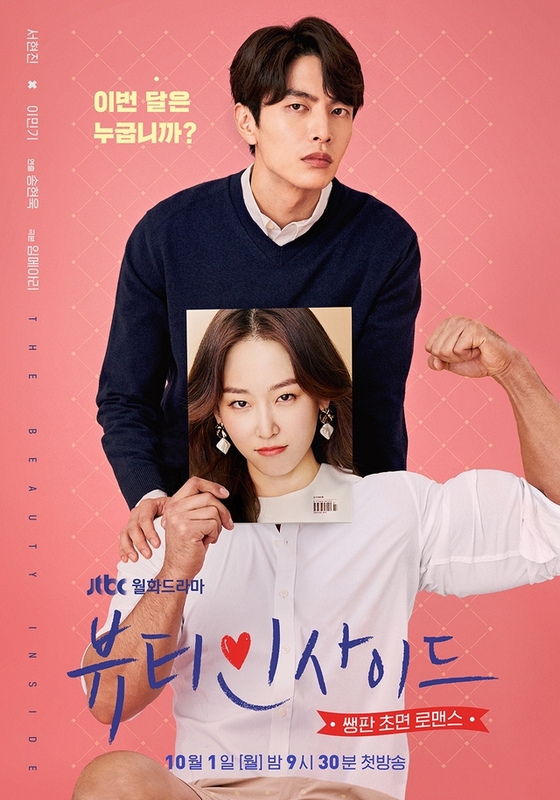 Lee Min Ki as Seo Do Jae was so almost identical to his character in his previous drama, Because this is my First Life, Nam Se Hee. Maybe it’s the way he acted but maybe because Seo Do Jae as a character also limited him to show off his full skill. Lee Da Hee as Kang Sa Ra was definitely my girl crush in this drama. She rocked that cold-hearted chaebol girl role. I don’t know about Ahn Jae Hyun though. He looked awkward and broke the flow most of the time. I didn’t have high expectation from Drama because it’s based off a movie. “Hey, what can you do with 2-hour material?” I thought. But Drama proved me wrong. Even though it’s a “remake” it felt fresh and overall, one great drama. Drama did changed many major parts and did not follow closely the movie version and I seriously though it was one great move. Changing the interval between Han Se Gye changing face was also great. In Movie, the male lead’s face changed everytime he slept meanwhile in Drama only once in a month. If Drama was to follow Movie, we would not feel engage to Han Se Gye character because… the character would feel like a stranger, right? Drama was off with somehow lukewarm pilot episode. No anything fancy, no extremely thrilling scene, just one slow episode but was not too slow to the point of boring. The first quarter of Drama was like that. One great thing about it was, even though it could be slow or not very exciting, Drama had unavoidable charms that made me wanting for more episodes. The witty scenes, the rich dialogues, the synergy among the casts, I couldn’t help but fell for it. It’s also safe to say that there was no boring episode in this drama and I was extremely impressed of that. It’s hard to find a drama that keeps its pace and good writing from start to finish these days. My most favorite monologue got to be Han Se Gye’s monologue in episode 16. The monologue showed that Se Gye finally understood why her face kept on changing for years. She finally understood the purpose of it and how she should do from that moment on. She finally let go of her anger and accepted herself as who she truly was. One of the dramas released this year with great line up of OST! The complete OST album is available on Spotify under the name “The Beauty Inside (Original Television Soundtrack)“. Or use this link instead for faster access->> click here. Track no. 2 Vincent and 2morro with The Beauty Inside. Track no. 3 Falling in Love sang by Davichi. I embed the live performance because everyone deserves to listen to the live version of this song and because Davichi are queens! Track no. 4 Beautiful Moment sang by K.Will. K.Will needs to perform the whole song in public one day! Track no. 5 Goodbye by Wendy (Red Velvet). Her vocal is pure honey. Last but not least, The Beauty Inside by 2morro. I noticed that none of the OST is uploaded by official channel so I went with the live performance instead and when the live one wasn’t available, I went with most viewed videos. Overall, Beauty Inside was such an enjoyment ride and I highly enjoyed every episode of it. Drama can be categorized as light romance drama so if you want all rainbows and unicorns give Drama a shot and you won’t regret it. Will I Watch it Again? Oh yes! !